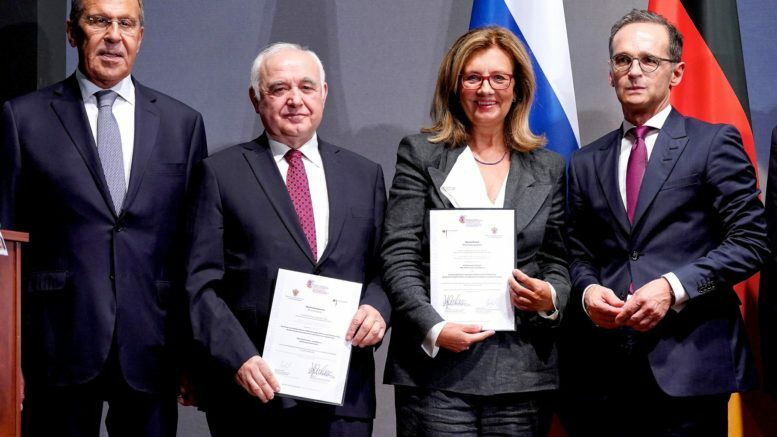 Yekaterinburg’s State Philharmonic and RCCR Projects have been honored today at the event to mark the end of the Russian-German Year of Municipal and Regional Partnerships for its project “Summer Orchestra Academy” among other 30 bilateral partnerships that were selected from around 250 submissions by a Russian- German jury. The Academy organizes not only rehearsals, master classes and concert performances in Yekaterinburg and Berlin, but also events on the sidelines of the concerts, discussion meetings with students, city tours and interviews on local TV and radio. According to Tatyana Rexroth from RCCR Projects, the exchange between the young people and the opportunity to communicate are very important in our world. Out of professional contacts, friendships can evolve. The award was handed over by the Russia’s and Germany’s foreign ministers Sergej Lavrov and Heiko Maas in Berlin.